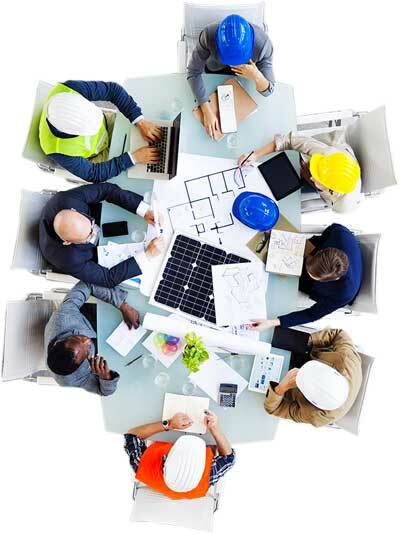 With so many different teams, people and organisations involved in a construction project, capturing and tracking all communication is usually impossible. Project-critical emails can easily be deleted or incorrectly filed – mistakes that can prove costly. Keeping track of approvals, who has seen what email, and what task has or hasn’t been actioned is time-consuming and subject to manual error. With OmTrak, every project-related email is captured and categorised, and with our search feature, locating specific correspondence is simple. Using OmTrak, you can also create recurring emails and embedded tasks. All required actions and associated deadlines are attached, and all responses and comments are centrally saved. A completely secure and centrally managed solution for your project communication. Emails cannot be deleted, reducing the risk of disputes and providing a solid audit trail. Automatic email threading so related conversations are grouped together. Team-based access ensures everyone stays up to date, even as people join or leave projects. Powerful filters make it easy to find and sort your emails, and you can save the filter function to quickly apply to future sessions. Customisable email types for categorising emails so they’re easier and faster to find. Quickly configure task and response types to suit your projects. Easily manage email distribution rules. Overdue or incomplete actions are automatically flagged for attention. 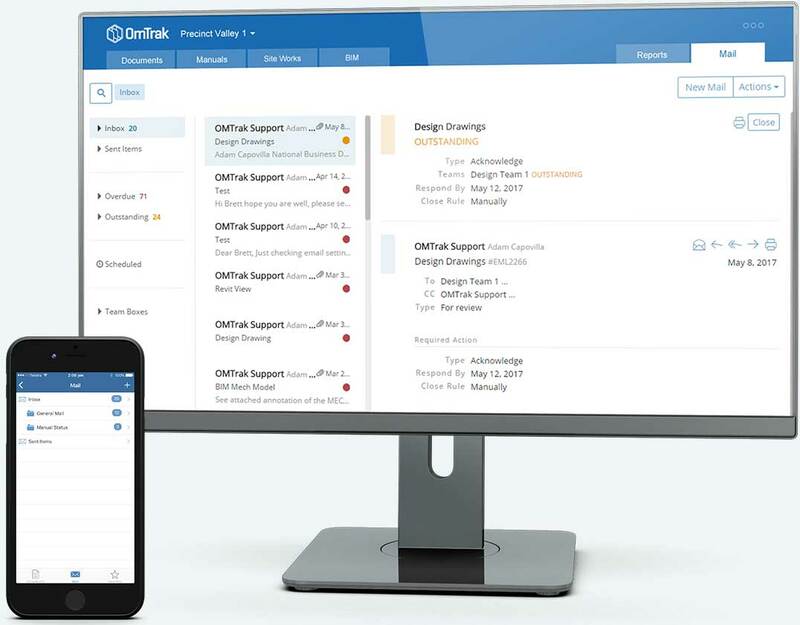 Access emails and tasks in one central place that’s linked to all OmTrak modules. Easily configure regular task summary reports to be issued via email. Schedule recurring emails and tasks for the life of the project. Project communication is an integral part of the OmTrak platform. See below the full list of OmTrak Modules.